Cultural Travel – Stanley predicts that luxury travelers in 2011 will not just be looking for beautiful beaches or great shopping, but “more meaningful interactions with local cultures” as well as outings that center upon local artisans and experts in varied fields. What better base for such a vacation than a luxury villa rental, as opposed to a tourist-centric hotel, where you can live among the locals? One of a Kind, Specialty Travel Experiences – With this trend, we’re seeing that, once again, the world’s most exclusive destinations are back on the map. While for a time luxury travelers were experimenting with new destinations, 2010 has seen the reemergence of travel destinations that can cater to the traveler’s special whims. Resurgence of Travel Experts – “DIY” has come to dominate the travel industry for quite some time now, thanks to the emergence of the Internet. However, luxury travelers are beginning to cede control of their luxury vacation planning to the experts once again. 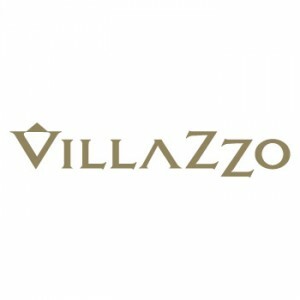 Villazzo offers the finest luxury villa rentals in the world's top travel destinations. When reading through Stanley’s predictions, one has to wonder why private villas, a staple of any truly luxurious vacation, were left off the list, especially when they facilitate some of the other trends so well. For those who remain able to take vacations in the style that they’ve always been accustomed to, it seems that a stay at a private luxury villa rental, with round-the-clock five-star VillaHotel service to boot, would be a much more popular and lavish way to travel among te traveling elite. Moreover, the luxury villa rental vacation experience is perfectly suited to a getaway centered on some of the other trends outlined by Cox and Kings, namely contemporary cultural travel, multi-destination vacations, learning vacations, and the experimental family travel. Staying in a luxury villa rental among the locals, rather than a hotel in a tourist-centric zone, seems a much better way to enjoy any of the above types of vacations. Perhaps luxury rental villas have become so engrained in the experiences of the luxury traveler that they can no longer be cited as a trend, but rather the height of indulgence expected from these sorts of vacations. To learn more about how to experience true luxury in the world’s most heralded vacation destinations, visit www.villazzo.com and browse our selection of world-class “VillaHotels” — luxury villas that combine the privacy of a villa rental with 5-star hotel service. This entry was posted on Monday, October 11th, 2010 at 8:33 am	and is filed under Luxury Travel. You can follow any responses to this entry through the RSS 2.0 feed. You can leave a response, or trackback from your own site.